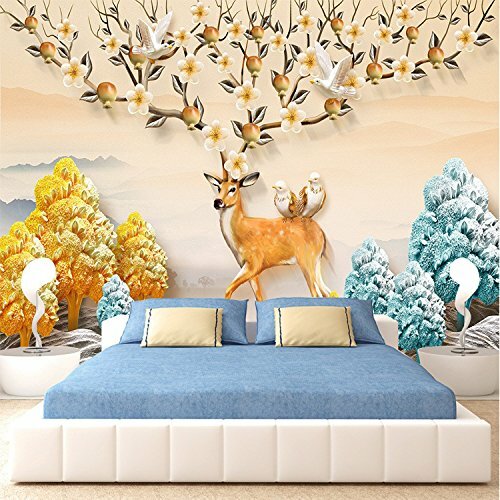 WALLPAPER: Our unique wallpapers are easy to install and can change your room in a blink of an eye. Easy sticking, without soaking - no overlapping parts! Important: Wallpaper without structure. PRODUCT: Product comes in one roll and needs to be cut. Cover the wall with glue and glue dry wallpaper directly on the wall - AND THAT'S IT! You can easily correct the paper before the paste has set. COLORS: Our full HD quality wallpapers guarantee lively colors, details and contrasts. All non-woven wallpapers are organic and safe thanks to our high quality printer. No bends, no wrinkles, no bubbles, free of odor - is also suitable for a child's room and the bedroom! IMPORTANT: The wall needs to be clean and smooth. In case of wallpapers in light colours we recommend installation on light coloured wall. QUALITY: No matter what size do you order, you will receive the whole pattern, proportionally sized.If our list does not have the size you want, contact us and we accept any size customization! 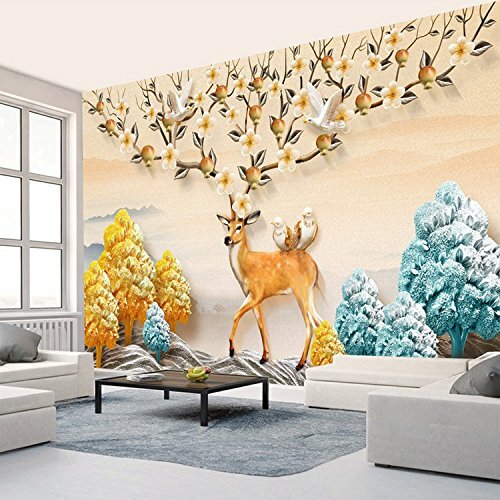 WALLPAPER: Our unique wallpapers are easy to install and can change your room in a blink of an eye. Easy sticking, without soaking - no overlapping parts! Important: Wallpaper without structure. PRODUCT: Product comes in one roll and needs to be cut. Cover the wall with glue and glue dry wallpaper directly on the wall - AND THAT'S IT! You can easily correct the paper before the paste has set. COLORS: Our full HD quality wallpapers guarantee lively colors, details and contrasts. All non-woven wallpapers are organic and safe thanks to our high quality printer. No bends, no wrinkles, no bubbles, free of odor - is also suitable for a child's room and the bedroom! IMPORTANT: The wall needs to be clean and smooth. In case of wallpapers in light colours we recommend installation on light coloured wall. QUALITY: No matter what size do you order, you will receive the whole pattern, proportionally sized.If our list does not have the size you want, contact us and we accept any size customization!